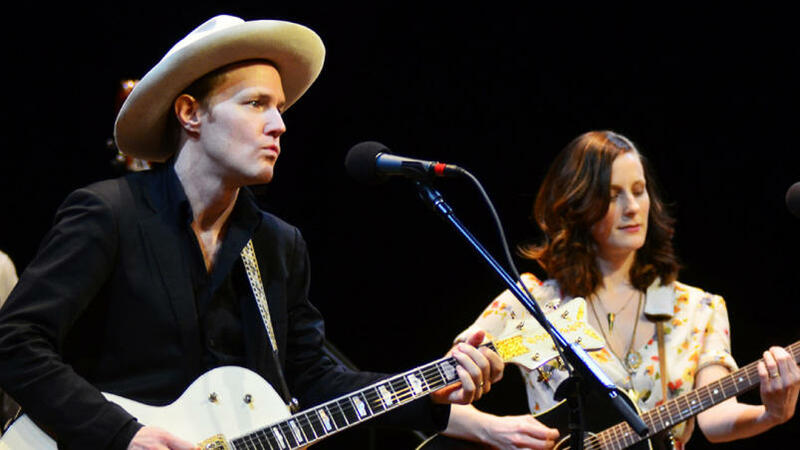 The Canadian duo Whitehorse makes its first appearance on Mountain Stage, recorded live on the campus of West Virginia Wesleyan College. The band showcases the songs of singer-songwriters Melissa McClelland and Luke Doucet, who's appeared on the show twice before, once as a solo artist and once as a guitarist for Sarah McLachlan. Doucet and McClelland spent years touring together as solo artists and playing in each other's bands, but they got married along the way and eventually decided to concentrate on their work as a duo. Comparisons to other singer-songwriter/guitar-hero pairings like Buddy & Julie Miller and Gillian Welch & David Rawlings write themselves, but Whitehorse succeeds by maintaining the flinty Northern edge that sets its music apart. The pair closes this set with the kiss-off anthem "Broken One," which Doucet had originally written for an ex-girlfriend. McClelland helped him rework the song for Whitehorse — or "fix it," as she told the enthusiastic audience. This Mountain Stage performance was originally published on May 16, 2012.